Features select cowhide shoulder material in the palm and knuckle, breathable yellow canvas back, cotton lining and ruerized safety cuff for comfortable wrist protection. Elastic closure sewn inside glove for safety and comfort. 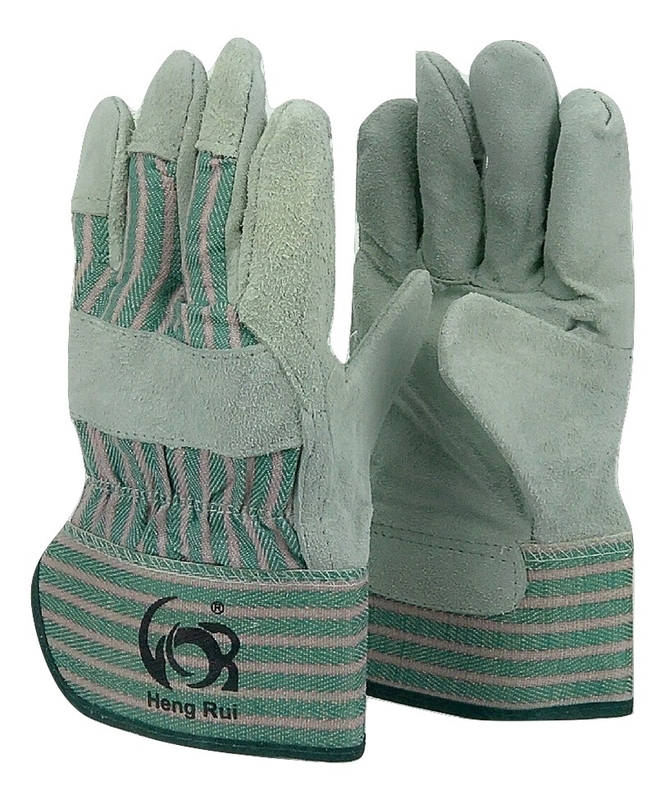 Cotton lined palm for extra comfort. Leather knucklestrap and finger tips for extra protection. Cotton color binding denotes sizes.